Prepare your eyes for the luscious visual feast in this out of this world diamond engagement ring. A real head turner, this spotless piece features a very remarkable Brilliant-cut diamond as the focus. Dazzling Brilliant Round cut diamonds are pave set around it with Rose Gold Diamond Accents. With Diamond Mansion's Rings, You can Walk down the aisle in style! 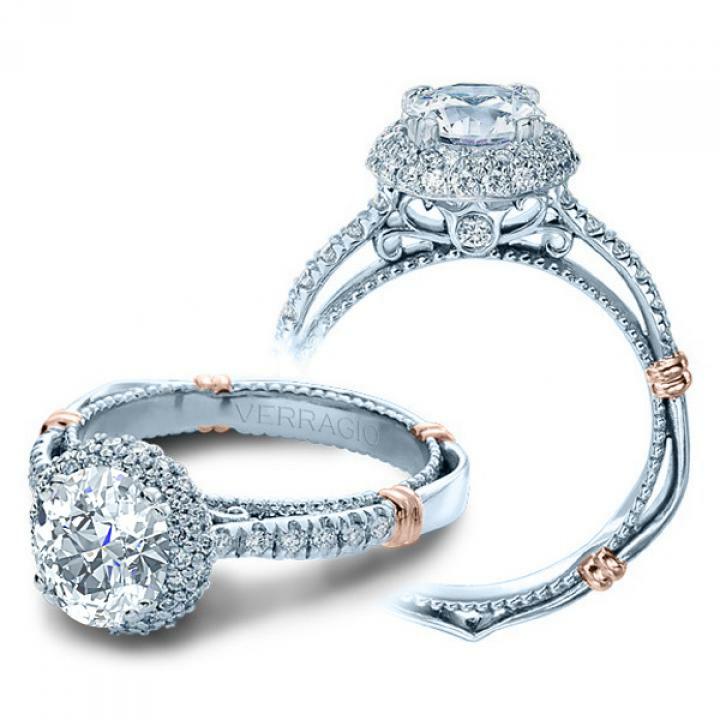 In his over 20 year career as a designer of fine jewelry for some of the most well known names in jewelry manufacturing, Barry Verragio has learned the value of craftsmanship and dedication to quality. "A beautiful mounting should only enhance the beauty of a diamond in the same way a beautiful dress makes a woman even more beautiful." This philosophy is reflected in all Verragio rings.